Guido Argentini was born in Florence, Italy. He studied Medicine for three years at the university of Florence. At 23 he decided to turn his passion for photography into a profession and started to shoot fashion and beauty. He lives in Los Angeles since 1990. 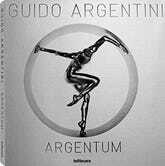 You can follow Guido's work on his webpage or buy his books here and here.